Really Existed? Without a doubt. Timeframe: c. 1538 - 1584. Martyrdom: None, really. Some sources imply that he worked himself into an early grave. Patron Saint of: those suffering abdominal pain or illness, apple orchards, bishops, seminarians and other religious students and educators, starch manufacturers. Symbolism: Shown as a bishop with a cord around his neck, often tending the sick. I think I can say without fear of contradiction that he had a fairly prominent schnoz. 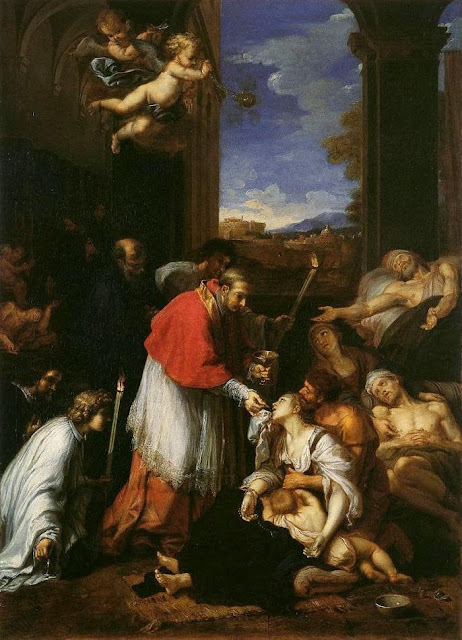 St. Charles Borromeo was one of hundreds of papal nephews (and occasional papal “nephews”) who were appointed cardinals in the first two-thirds of the second millennium. Unlike many of these, he was a highly active and talented dude, and is pretty much Exhibit A in the case for nepotism. He was an important guy: the bishop of Milan, the man who wrapped up the Council of Trent and put its recommendations into action, an activist for seminaries and youth education, an organizer of charity and relief for the poor, he was in general a leading reformer of the Counter-Reformation, trying to stem the Protestant tide by cleaning up some of the aspects of the Church that made people of a mind to Protest. 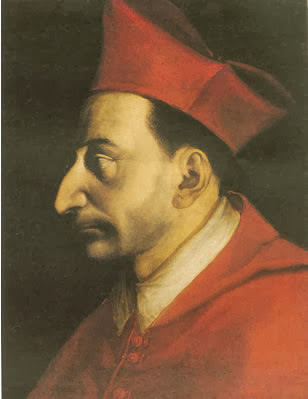 Borromeo corresponded with the Crowned Heads of Europe and was the subject of three separate biographies written by people who knew him personally, so he is not exactly a figure shrouded in the mists of time. Nor does there seem to be much disagreement on the big picture: he was a fabulous administrator, an apparently sincere religious man with a commendable concern for the poor and needy of his flock, and in person a bit of a dour, humorless killjoy. 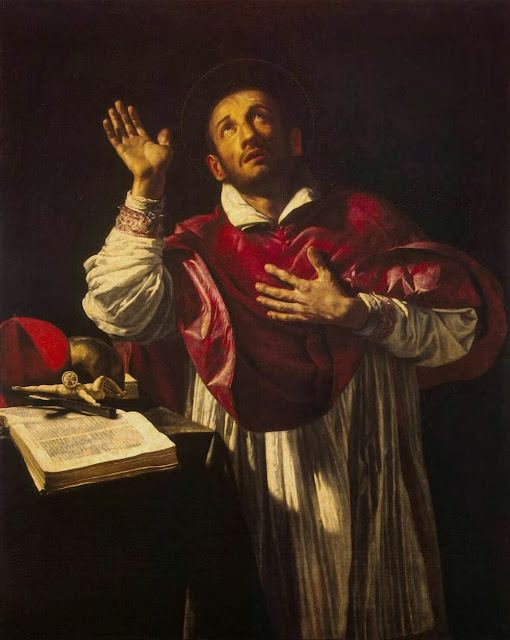 After he died in 1584, he was revered as a saint in Milan, and if we are to believe the tone of the texts this was something of a grassroots movement. 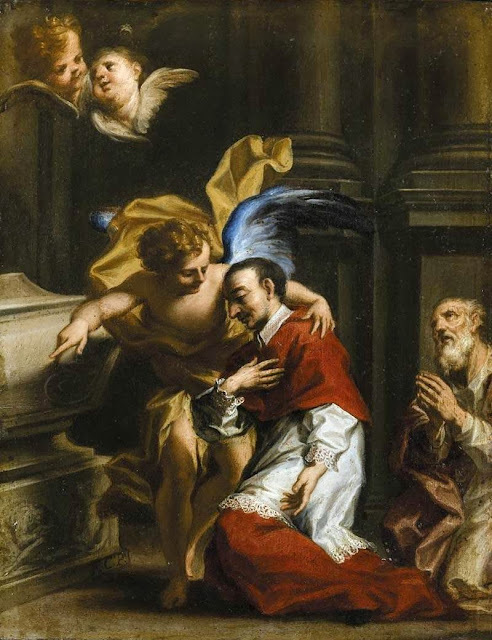 Church officials seem to have wobbled a little bit on whether to put the kibosh on this enthusiasm or to run with it, but not for long, and Pope Paul V declared the formal canonization in 1610.